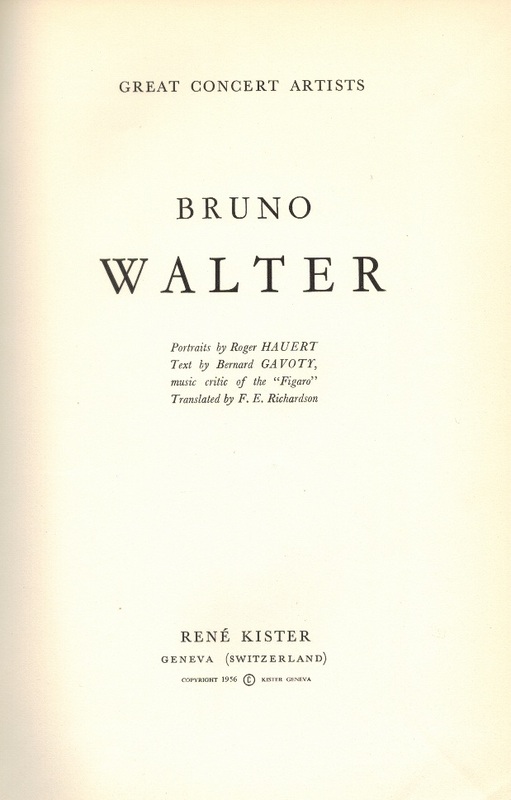 "While rehearsing Mahler's ninth symphony with the Berlin Philharmonic, Nazis entered the theater to take Walter. The orchestra hurried the maestro out the back door. He left for Austria and did not see his family for five years. Later, when listening to a playback of a Columbia recording of the first movement of the ninth symphony, principal players of the Columbia Symphony Orchestra were ushered out of the booth as Walter began to weep. After the door was closed, the musicians were told, 'Gentlemen, you must excuse him. This was the place in the symphony when the Nazis entered the hall. He was smuggled out the back door and didn't see his family for five years'. [told by James Decker, principal horn of the Columbia Symphony and witness to the event]."